Ankle foot orthoses and other O&P devices allow patients to walk faster, for longer periods of time, with a more biomechanically efficient gait. It seems logical that energy costs would decrease as a result. But that’s been surprisingly difficult for researchers to prove. Clinicians and researchers are often challenged by attempts to interpret the effect of orthotic and prosthetic devices on patients’ energy consumption. Practitioners may observe – and patients attest – that a device seems to make walking easier, but quantifying such subjective findings in terms of energy cost is difficult even in clinical trials, let alone in the office. Part of the problem is that there are different ways to measure energy and metabolic costs, and the terminology used to describe them can be complex and arcane. Another issue is that most research so far has been conducted in small study populations. Even allowing for those considerations, however, experimental results can simply be baffling. Consider one recent study. Priya Davis, BPO(Hons), of Melbourne, Australia, assessed the effect of stance-control orthoses on gait characteristics and energy expenditure while she was practicing at St. Vincent’s Hospital there. 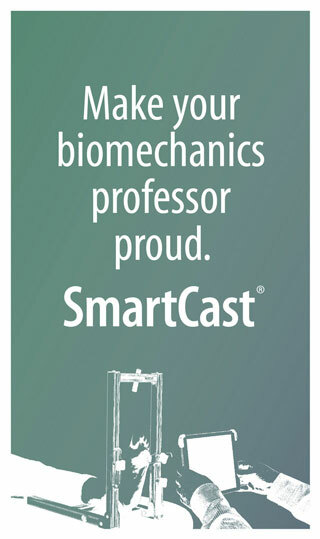 In that study, 10 patients who were regular users of knee-ankle-foot orthoses (KAFOs) were evaluated for energy expenditure and walking velocity under two conditions—with the devices in a locked-knee setting, and then in the stance-control setting that allowed free knee flexion during swing phase.1 Davis and her colleagues found that walking velocity and cadence were significantly increased in the stance control condition, but that there was no difference in either the energy cost of walking or the physiological cost index between conditions. The obvious question, then: If stance control increased subjects’ speed without a corresponding rise in energy cost, doesn’t that suggest that they were more energy efficient? “From a statistical point of view, we didn’t find that,” Davis told LER. She explained that aspects of the study design may have confounded such analysis, however. There were, for example, separate testing sessions for velocity and energy expenditure. In both cases, subjects walked up and back on a 10-meter walkway (see figure, next page), with a turn at each end, which took longer than a more standard path around a track would have because of the time spent turning. The velocity testing entailed four laps of the walkway, whereas the energy assay was for a timed duration. “Patients knew they were going to have to walk for five minutes during the energy-expenditure testing, so they may have decided to slow down a bit to cope,” Davis said. Other research has provided clues about the relationship of ambulation variables to energy cost, but sweeping conclusions are difficult to arrive at for the reasons already noted. Stefania Fatone, PhD, BPO (Hons), a research assistant professor in physical medicine and rehabilitation at Northwestern and a coauthor of both papers from that group, explained why such assessments are crucial, both for clinical knowledge and patient quality of life. “At its simplest level, energy efficiency is important because it tells us something about the ability of the person to participate in the activities of daily living in society,” she said. People naturally manage their energy reserves to be able to maintain the activity levels they desire whether they have disabilities or not, she noted. The 2006 study was conducted in able-bodied subjects, partly to establish baselines from which to evaluate the disabled. “That allowed us to explore ideas and develop theories before we recruited a pathological population, with the understanding that you have to make allowances—you can’t always apply the results in a cut-and-dried way,” Fatone said. The biomechanical advantages of KAFOs in particular make those devices attractive choices for energy expenditure research. The more proximal the orthotic or prosthetic intervention, Fatone pointed out, the more energy is required to overcome it. “As you move from the foot up the leg, the immobilization of each joint increases energy expenditure, as those movement limitations affect your walking efficiency,” she said. In such matters, Fatone and others in her field often cite the work of Robert Waters, MD, the former medical director (now retired) of Rancho Los Amigos National Rehabilitation Center in Downey, CA. In 1999, Waters published a paper in Gait & Posture elucidating the energy expenditure associated with normal and pathologic gait.6 Waters distinguished between power (the rate of O2 consumption per kilogram of body weight per minute, or ml/kg/min) and work (the amount of energy required to perform a task). Physiological work (O2 cost) during level walking is the amount of oxygen consumed per kilogram of body weight per unit of distance traveled. The rate of oxygen consumption, then, relates to the level of physical effort, whereas O2 cost describes the total energy required to perform the walking task. For researchers, other useful terms in this slightly dizzying array include VO2max (the highest volume of oxygen uptake an individual can attain during physical work while breathing at sea level); basal metabolic rate (BMR, the minimum level of energy required to sustain the body’s vital functions while walking); cadence (step frequency); and customary walking speed (CWS, the natural gait rate of any individual; for most adults, CWS lies in the range of 1 m/s to 1.67 m/s). Waters described a number of interactions between factors such as cadence, speed, and oxygen consumption that are too complex to repeat here, but that have influenced researchers ever since. As Fatone pointed out, however, those of particular interest to the O&P community are his findings regarding the effect on energy expenditure of various joint inhibitions and immobilizations. For example, individuals who have undergone ankle fusion select a CWS about 84% of normal, with an oxygen uptake about average and an increase in energy expenditure of 3% over a normal subject walking at the same speed. 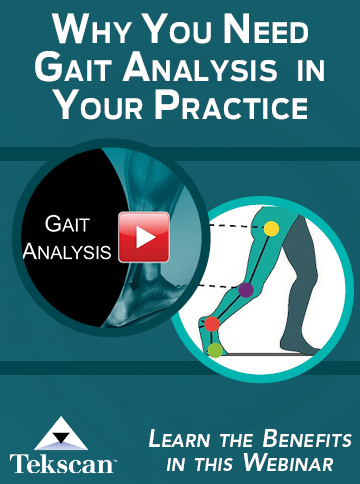 The fusion does not, in other words, require major compensatory changes in gait pattern. Knees are another matter. When subjects held their walking speed at 1.34 m/s, their rate of oxygen consumption rose 23% when one knee was immobilized. When then allowed to self-select walking speed, subjects quickly slowed to 1.07 m/s; at the slower speed, O2 consumption was only slightly elevated from normal (12.7 ml/kg/min vs 12.1 ml/kg/min). Such findings, Waters noted, have obvious implications for patients wearing an orthosis or prosthesis with restricted knee motion, or those with a stiff-legged gait due to spasticity. Similarly, patients who have had a hip fusion consume about a third more oxygen to maintain the same walking speed as normal subjects. And even though patients with gait disorders who don’t need assistive devices typically decrease walking speed to keep oxygen consumption within normal limits, hip arthrodesis patients still require more oxygen than normal just to maintain their CWS. Amputation is associated with its own energy costs, not surprisingly. 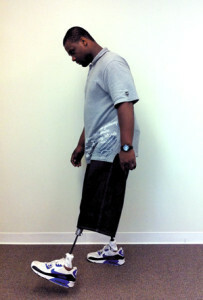 Waters reported that subjects with unilateral transtibial amputations, for example, need roughly 20% more oxygen to maintain a given walking speed with a prosthesis than those with two whole limbs. As noted, the farther up the kinetic chain you go, the more drastic the effects; those with transfemoral amputations need still more oxygen, as do those with amputations at the hip. And even though O2 consumption at CWS is not dependent on amputation level, the CWS itself declines as the amputation level moves higher. Matters are even worse for people with vascular amputations, such as those associated with diabetic neuropathy, than for people with traumatic amputations. In many such patients, work capacity and VO2max decline further due to aging and comorbidities, including cardiovascular disease. 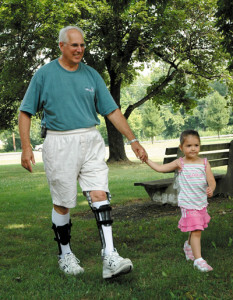 Photo courtesy of Clinical Prosthetics & Orthotics. Waters also noted correlations between energy costs, specific pathologies, and orthotic support. In patients with spinal cord injury (SCI), for example, those who required bilateral KAFOs had the greatest increase in O2 rate (226% over normal), versus 107% and 81% for those with one and no KAFO, respectively. Similarly, O2 cost (ml/kg/min) was 1.15, 0.46, and 0.37 for those with two, one, and no KAFOs. This high rate of energy use occurs despite the slow walking speeds often associated with SCI. Those with poststroke hemiplegia, though also slow walkers, often use less oxygen than normal walkers. Children with cerebral palsy (CP) average 57% of normal walking speed, and have relatively high rate of oxygen consumption but only 22% of the VO2max of age-matched controls. 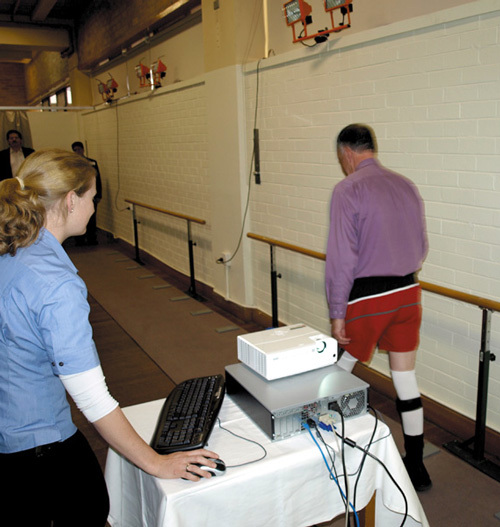 All this is important to researchers because it helps clarify the effects of various gait abnormalities on energy expenditure, allowing them to better determine how improvements in assistive devices can offer clinicians and their patients better options. Such adjustments, Fatone said, help explain the discrepancy between re­search that sometimes finds no effect on energy consumption, and the subjective experience of patients who soon dis­cover that they can walk farther, faster, and with greater ease with a new or modified device. Other studies have reported that microprocessor knees are sometimes associated with small improvements in ambulatory energy efficiency.9-15 These have rarely reached statistical significance, however, and have been based on less rigorous methods of assessing total daily energy expenditure than that used by Kaufman and his associates. In DLW, the hydrogen and the oxygen in water are each labeled with a radioactive material; the subject then drinks the water, and researchers track the rate at which the traceable isotopes of hydrogen and oxygen (deuterium and 18O, respectively) are excreted in the urine. For full-time clinicians, assessments of oxygen partly mean blending the rarefied atmosphere of the research lab with the dense air of life in the trenches. The researcher’s need for repeatability often allows for less of the flexibility and regard for an individual patient’s needs that’s essential in the clinic. Carey Jinright, CO, owner of Precision Medical Solutions in Montgomery, AL, said that the same brace that improves the gait and gives more freedom to one patient may cause problems for another, even when they share the same diagnosis. Jinright also tries to be sensitive to the discrete energy problems associated with different conditions. Children with Down syndrome have a tendency to fall into pronation due to hypotonia, Jinright added, and that affects the rest of the kinetic chain, leading to a valgus knee and an externally rotated hip. In some cases, Jinright said that energy consumption has to take a back seat to stability, however. Patients who need a KAFO to help address severe balance problems are often at greater risk from falling than they are from getting overtired, for example. In any case, the clinician has to evaluate the patient carefully to make the right decisions. “We want to decrease the abnormal tendencies and magnify the good motion that the patient already has,” Jinright said. This emphasis on a patient’s individuality is well recognized in the laboratory setting, as it turns out. Because research into energy costs is still in its early stages, clinicians are inclined to place more emphasis on the simple fact that with some devices—for whatever reason—their patients become more active and report a better quality of life. “I think the subjective benefits patients report may outweigh our findings that show no gains in energy efficiency,” Priya Davis acknowledged. 1. Davis P, Bach T, Pereira D. The effect of stance control orthoses on gait characteristics and energy expenditure in knee-ankle-foot orthosis users. Prosthet Orthot Int 2010;34(2):206-215. 2. Herndon SK, Bennett BC, Wolovick A, et al. Center of mass motion and the effects of ankle bracing on metabolic cost during submaximal walking trials. J Orthop Res 2006;24(12):2170-2175. 3. Bergman DJ, de Groot V, van Diggele P, et al. Polypropylene ankle foot orthoses to overcome drop foot gait in central neurological patients: a mechanical and functional evaluation. Prosthet Orthot Int 2010;34(3):293-304. 4. Zissimopoulos A, Fatone S, Gard SA. Biomechanical and energetic effects of a stance-control orthotic knee joint. J Rehabil Res Dev 2007;44(4):503-513. 5. Klodd E, Hansen A, Fatone S, Edwards M. Effects of prosthetic foot forefoot flexibility on oxygen cost and subjective preference rankings of unilateral transtibial prosthesis users. J Rehabil Res Dev 2010;47(6):543-552. 6. Waters R, Mulroy S. The energy expenditure of normal and pathologic gait. Gait Post 1999(9):207–31. 7. Kaufman KR, Irby SE, Mathewson J et al. 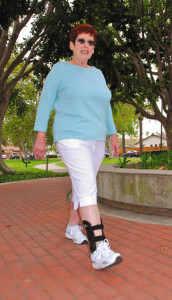 Energy-efficient knee-ankle-foot orthosis: a case study. J Prosth Orthot 1996;8(3):79-85. 8. Kaufman KR, Levine JA, Brey RH, et al. Energy expenditure and activity of transfemoral amputees using mechanical and microprocessor-controlled prosthetic knees. Arch Phys Med Rehabil 2008;89(7):1380-1385. 9. Schmalz T, Blumentritt S, Jarasch R. Energy expenditure in biomechanical characteristics of lower limb gait: the influence of prosthetic alignment and different prosthetic components. Gait Posture 2002;16(3):255-263. 10. Chin T, Sawamura S, Shiba R, et al. Effect of an intelligent prosthesis (IP) on the walking ability of young transfemoral amputees: comparison of IP users with able-bodied people. Am J Phys Med Rehabil 2003;82(6):447-451. 11. Datta D, Heller B, Howitt J. A comparative evaluation of oxygen consumption and gait pattern in NPT is using intelligent prostheses and conventionally damped knee swing-phase control. Clin Rehabil 2005;19(4):398-403. 12. Johansson JL, Sherrill DM, Riley PO, et al. 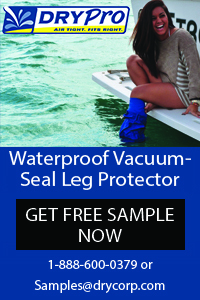 Clinical comparison of variable-damping and mechanically passive prosthetic knee devices. Am J Phys Med Rehabil 2005;84(8):563-575. 13. Seymour R, Engbretson B, Kott K, et al. Comparison between microprocessor-controlled prosthetic knees: a preliminary study of energy expenditure, obstacle course performance and quality of life survey. Prosthet Orthot Int 2007;31(1):51-61. 14. Orendurff MS, Segal AD, Klute GK, et al. Gait efficiency using the C-Leg. J Rehabil Res Dev 2006;43(2):239-246. 15. Highsmith MJ, Kahle JT, Bongiorni DR, et al. Safety, energy efficiency, and cost efficacy of the C-Leg for transfemoral amputees: a review of the literature. Prosthet Orthot Int 2010;34(4):362-377. 16. Balaban B, Yasar E, Dal U, et al. The effect of hinged ankle-foot orthoses on gait and energy expenditure in spastic hemiplegic cerebral palsy. Disabil Rehabil 2007;29(2):139-144. 17. Brehm MA, Harlaar J, Schwartz M. Effect of ankle-foot orthoses on walking efficiency and gait in children with cerebral palsy. J Rehabil Med 2008;40(7):529-534. 18. Maltais D, Bar-Or O, Galea V, Pierrynowski M. Use of orthoses lowers the O2 cost of walking in children with spastic cerebral palsy. Med Sci Sports Exerc 2001;33(2):320-325. 19. Brehm MA, Beelen A, Doorenbosch CA, et al. Effect of carbon-composite knee-ankle-foot orthoses on walking efficiency and gait in former polio patients. J Rehabil Med 2007;39(8):651-657. 20. Hachisuka K, Makino K, Wada F, et al. 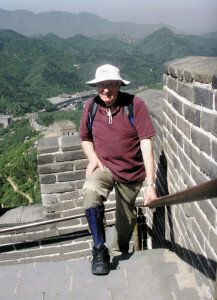 Oxygen consumption, oxygen cost and physiologic cost index in polio survivors: a comparison of walking without orthoses, with an ordinary or carbon-fiber reinforced plastic knee-ankle-foot orthoses. J Rehabil Med 2007;39(8):646-650. 21. Franceschini M, Massucci M, Ferrari L, et al. Effects of an ankle-foot orthosis on spatiotemporal parameters and energy cost of hemiparetic gait. Clin Rehabil 2003;17(4):368-372. 22. Thijssen DH, Paulus R, van Uden CJ, et al. Decreased energy costs and improve gait pattern using a new orthosis in persons with long-term stroke. Arch Phys Med Rehabil 2007;88(2):181-186. 23. Danielsson A, Sunnerhagen KS. Energy expenditure in stroke subjects walking with a carbon composite ankle foot orthosis. J Rehabil Med 2004;36(4):165-168.